Take advantage of creating memories in this one of a kind nearly 4,000 square foot home on Glidden Drive outside of Sturgeon Bay. Its large lot provides plenty of room and privacy for you and your guests to relax and enjoy the tranquility of Lake Michigan. The home boasts 3 Bedrooms, 3.5 Baths and a large family area with lots of room to sleep. Add in the bonus room above the garage and you have the ability to fit 16 people. 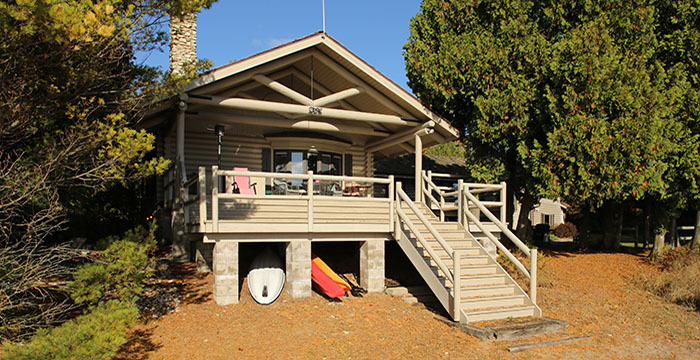 Gather your family and/or friends for a wonderful stay in Door County, WI! Bask in unbelievable views of Lake Michigan from several rooms and the large wraparound deck. Take full advantage of approximately 240 feet of Lake Michigan sand beach. Relax on the swing among the dunes or sit on the deck. Take a stroll or soak up the sun-the choice is yours! Let the sights and sounds of the water rejuvenate your soul.